In this post, I am listing the best free resources for designing infographics for your website. As you will see in just a second, it reserves great surprises and you will learn how to multiply 40 times the engagements triggered by your shares on social media! To know how to multiply by 40 the number of engagements generated by your infographic, jump directly to this section! People like to share visual content, and especially, nice looking infographics. All these shares bring referral traffic from social media to your site. Finally, these shares improve your search engine ranking. Considering that infographics are way cheaper and simpler to create than video, you should learn how to create beautify infographics. This post will help you! My very first infographic with Piktochart! It provides recommendations to double a website audience through SEO. Read the associated post if you are interested! How much traffic does a picture share bring on social media? I shared the above infographic on two channels: this blog and Twitter. I wanted to see how much traffic the picture would bring to this blog. As I will tell you in just a second, the results of this experiment brought great surprises and taught me how to multiply by 40 the number of Twitter engagement! 1751 people in my target audience (digital marketers) were exposed to the infographic on Twitter. 25 people engaged actively with it through retweets, likes, or clicks on the links. Although 1751 impressions may seem a large number, it is the number of conversions that matter. Most people simply receive too many tweets to look at them all. Can you guess why this tweet got only 25 engagements? In fact, this tweet was poorly written. I'll show you below how to get 3 times more clicks, just by rewriting the Tweet. How to Multiply by 40 the Number of Engagements? Add "Please retweet." in the text. It increases by 20 times the number of retweets (source: Salesforce). Post again the same post in a few weeks. Experience shows that it will lead to a similar number of clicks and engagements. You are doubling the engagement, at no cost. Add "Download" or "View" call-to-action on the link to the infographics. Choose high audience hashtags: in my tweet, used #inbound, which is not followed by many people. Replacing it by #SEO will lead to a significant increase in the number of impressions. Share on several social media, and especially, LinkedIn. As my infographic is relevant to my professional network, sharing it on LinkedIn will bring a significant number of views. All in all, we are talking about a 40x multiplicative effect: I think that you won't get more efficient recommendations on your social media strategy anytime soon! There is a trap when building graphical content: you must respect strictly the content licenses associated with pictures. Be careful: even pictures that are labeled for reuse with modification can impose specific constraints: in particular, many licenses require attribution to the photograph. To find nice pictures for free, I use Google picture search with adjusted advanced settings that select only images that I can reuse and modify (see picture below). Google Picture search enables you to look for photos that are labeled for reuse with modifications. If you work a lot with pictures, at some point you will want to reduce their size, crop them, adjust the color, and complete other basic tasks. There are plenty of image editing tools; so, I recommend your choice should base on price and time efficiency. 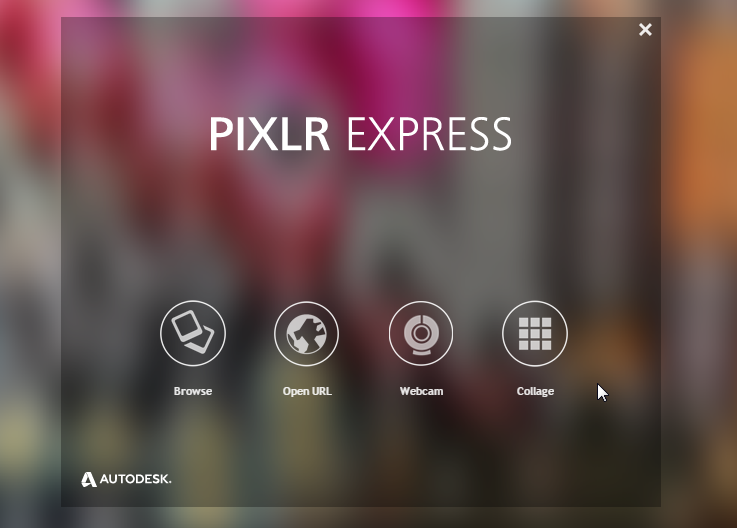 My pick is usually Pixlr Express as I explain below. To get the job done, you can use Pixlr express. I love it to quickly edit pictures. The express version is free - no form to fill and you do not need to install any software. If you work for a company with rubbish IT restrictions, this will make you save a lot of time! If you like complex photo editing software, use the great and open source Gimp. With Gimp, possibilities are limitless - provided that you have time and skills. Gimp opensource photo editing software is complex to use but extremely powerful and free. Use it if you have time and skills.